BONNYCASTLE, Sir RICHARD HENRY, army officer, military engineer, artist, and author; b. 30 Sept. 1791 in Woolwich (London), England, eldest son of John Bonnycastle, professor of mathematics at the Royal Military Academy there, and his second wife, Bridget Johnstone; m. 1814 Frances Johnstone, and they had two sons and three daughters; d. 3 Nov. 1847 in Kingston, Upper Canada. 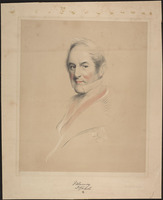 Richard Henry Bonnycastle’s family was exceptional in that its middle-class status rested on the father’s intellectual achievements rather than on business or inheritance and in that it was associated with a unique military institution. 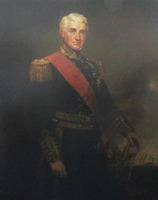 The Royal Military Academy was the first tertiary school in the English-speaking world to furnish advanced engineering and scientific courses to prospective officers of the artillery and the engineers, and John Bonnycastle was among the pioneers of this intellectually oriented system of military education. Academy graduates dealt not only with heavy weapons and fortifications but also with roads, harbours, and canals, with cartographical, meteorological, and geological observations, and with drawing and painting because of the need to sketch for military purposes. A place was found for Richard because his father was on the staff, and because he had the ability to fulfil the rigorous entrance requirements. The academy furnished one of the few pathways into the military and social élite, and Richard made the most of the opportunity. His career was not brilliant, but in the way he applied his education for the benefit of civilian society, especially in Upper Canada, he was the model of a helpful Board of Ordnance officer. Indeed, he and Lieutenant-Colonel John By are the outstanding examples in Upper Canada of constructive imperial military officers. Bonnycastle graduated as a second lieutenant of Royal Engineers on 28 Sept. 1808. In 1809 he served at the siege of Flushing (Vlissingen) in the Netherlands campaign and was promoted first lieutenant. Three years later he went to Nova Scotia and participated in the British occupation of part of Maine in 1814, acting as engineer in charge of fortifications erected on the Castine peninsula. During this service he was promoted second captain. From Maine, Bonnycastle went to the British occupation forces in France. 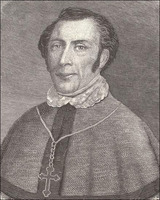 In 1818 he was at Woolwich completing his first literary effort, a two-volume description of Spain’s Latin American colonies with historical comments entitled Spanish America (London, 1818). He was fluent in French, and appears to have done most of his research from Spanish sources in France. For the next few years Bonnycastle performed routine duties at home. In 1826 he was sent to Upper Canada, serving at Fort George (Niagara-on-the-Lake) and Kingston until 1832, when he was posted to York (Toronto). By that date he was already well known among the leading colonists. It appears that from the start he took a keen interest in all forms of colonial development, made information from his military surveys available to civilians, and did original research in geology and mineralogy. When he was leaving Kingston, James Macfarlane, editor of the Kingston Chronicle, praised his efforts “to promote the discovery of our Canadian resources” and his geological surveying. At York, Bonnycastle became a prominent freemason, and he was also a major contributor to the artistic community. 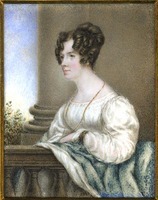 In January 1834 he was chosen president of the Society of Artists and Amateurs, the first art society in York, and a number of his paintings, depicting Lower Canadian and European subjects, were displayed that July at the society’s only exhibition. Bonnycastle attributed his interest in painting to the influence of his godfather the artist Henry Fuseli. In 1835 Bonnycastle presided over the transfer to the city of two bridges across the Don River, attracting favourable comment by the enthusiasm with which he made this donation on the part of the British government. The bridges were Ordnance property, constructed at British expense. It was departmental policy to hand over such works to civilians as their military use ceased and thus to aid worthy public causes. Bonnycastle promoted other kinds of development, urging Lieutenant Governor Sir John Colborne* in 1835 to request that the British government erect one of its proposed colonial astronomical observatories in Toronto. Such an observatory, he argued, would be invaluable to the university planned for the city, and would serve to lay the foundations for the study of science in Upper Canada. The education of the population, he asserted, would be ample compensation for the money spent. The effect of Bonnycastle’s pressure is not known, but in 1840 the Ordnance set up an observatory for terrestrial magnetism and meteorology at Toronto. In 1853 it handed this institution over to the University of Toronto, where it became both a valuable weather station and a teaching department. 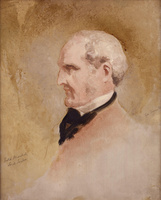 Bonnycastle’s contributions to civil society were, however, eclipsed by his military achievements in 1837 and 1838. In 1837 he was promoted brevet major and placed in command of the engineers at Kingston, with the specific task of completing construction of the new Fort Henry, begun in 1832. By late 1837 Bonnycastle, directing a force of mostly Irish artisans and labourers, had finished work. Almost immediately afterwards came the rebellions in the Canadas. 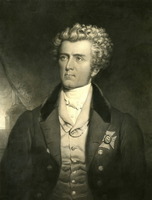 Lieutenant Governor Sir Francis Bond Head* had previously ordered most of the regulars in Upper Canada to Montreal, leaving in the Kingston area only the Ordnance personnel and a few sailors. On 6 December, Bonnycastle, the senior officer capable of duty, received a letter from Head informing him that rebellion had broken out at Toronto and ordering him to hold Fort Henry and its invaluable military stores against attacks from rebels. He set about building a garrison from local resources with energy and tact, winning strong support from the colonists. By the beginning of 1838 his force consisted of the Fort Henry workers, whom he had armed, militia from the counties around Kingston, the élite Kingstonians serving in the Frontenac Light Dragoons, a detachment of the Perth Artillery, and a unit of regular sailors called the Queen’s Marine Artillery, together with some Mohawks from the Bay of Quinte region. The threat to Kingston was now posed by about 2,000 Upper Canadian refugees and American sympathizers in New York state who sought to liberate Upper Canada. Intending to strike at Fort Henry across the frozen St Lawrence, on 22 Feb. 1838 they left Clayton, N.Y., and seized Hickory Island near Gananoque as a preliminary move. Bonnycastle and the Kingstonians expected a battle, but the Patriots, having infiltrated the defences with spies, withdrew the next day. The Kingstonians heaped praise on Bonnycastle for his vigorous leadership, which had probably persuaded the enemy that an attack would be too costly. His superiors were also impressed. In March 1840 they gave him a knighthood. That year Sir Richard, who now regarded himself as a permanent resident of Kingston, was promoted lieutenant-colonel, and shortly afterwards he did a tour of duty as commanding engineer in Newfoundland. Between 1841 and 1846 he made his main literary contribution, publishing with Henry Colburn in London The Canadas in 1841 (2v., 1842), Newfoundland in 1842: a sequel to “The Canadas in 1841” (2v., 1842), and Canada and the Canadians, in 1846 (2v., 1846). He retired from the engineers in June 1847 and died in Kingston soon after, at the age of 56. A fellow officer and friend, Sir James Edward Alexander, edited Bonnycastle’s voluminous notes and published them in Canada as it was, is, and may be (2v., London, 1852). These works are not great literature, but they were competent and informative tracts which helped to publicize British North America in Britain and to attract middle-class immigrants and investment capital. Bonnycastle was an enthusiast for imperial development and a believer in progress through education and hard work. He had all the Victorian middle-class virtues, and his writings show few of the prejudices which often went with them. Although only his posthumous volumes dwelt on history in any detail, all his Canadian works are helpful sources for the period. They are equally valuable for the attitudes they reflect, which are those of an imperial official with a most useful colonial career and the founder of a respected middle-class Ontario family. G. K. Raudzens, “BONNYCASTLE, Sir RICHARD HENRY,” in Dictionary of Canadian Biography, vol. 7, University of Toronto/Université Laval, 2003–, accessed April 20, 2019, http://www.biographi.ca/en/bio/bonnycastle_richard_henry_7E.html.